Ms. Hamilton is a founding member of ACCE and has used and leveraged her personal resources to advance the cause of the organization. She knows the value of education first hand and is therefore committed to helping our children and their parents reach their God given potentials.Ms. Hamilton holds a BS Degree in Social Work from York College, a MSW from Hunter College and a Nursing Degree. Betty is a Board Member – ,BA, MA – Retired from the New York City Department of Mental Health, Mental Retardation and Alcoholism Services in 2000 after 35 years of employment. She was a Senior Consultant in the Bureau of Mental Retardation/Developmental Disabilities.She currently serves as President of the Ilion Area Block Association in St. Albans, New York since 2002. 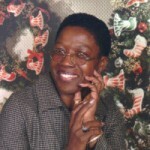 She is a member of the 100 Black Women where she served as the Corresponding Secretary from 1999 to 2001. 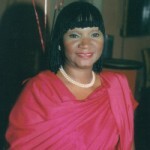 She is also the Founder and Director of the People’s Organization for Self-Help, Inc., from 1979 to 1982. Board Secretary is a leader in community outreach and anti-poverty advocacy in New York City and abroad. She has spent the last ten years committed to helping children living in conditions of poverty all over the world.She is now working as an Associate Producer at History/A&E Television Networks. Ayanna is an Emmy Award Winner. 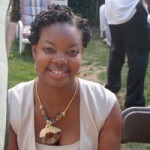 Ayanna holds a BA degree from Morgan State University, an MBA from Fordham University and is currently a graduate student at Columbia University studying Policy and International Social Welfare.